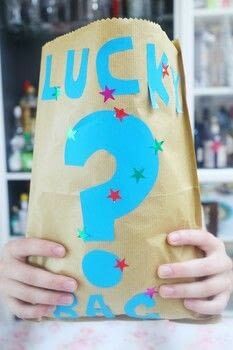 Remember how much fun Lucky Bags were? 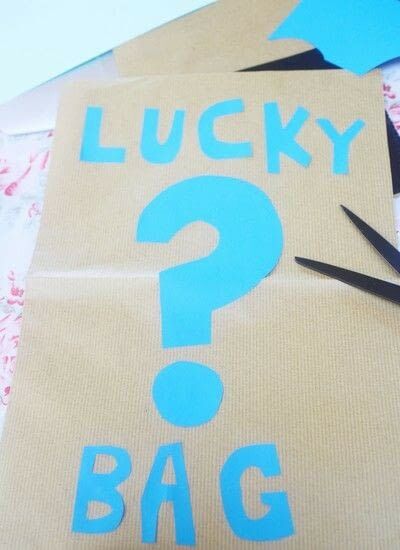 Surprise a friend with a DIY one! 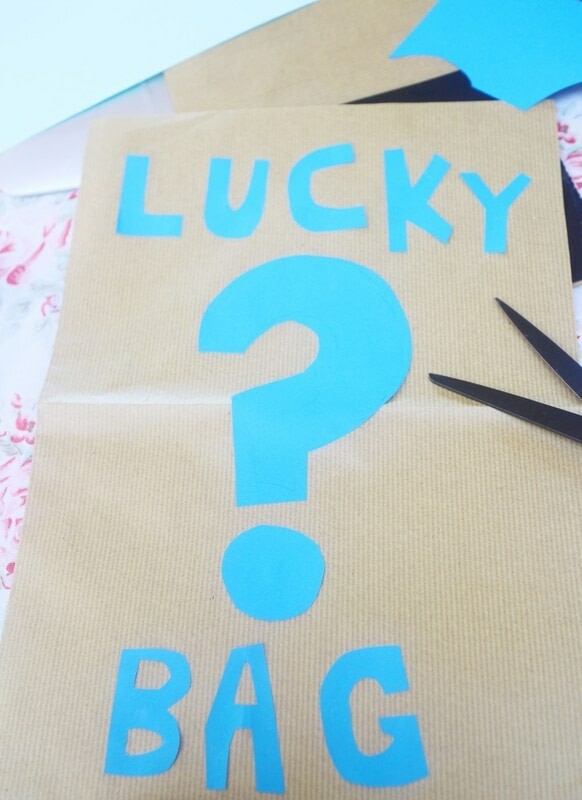 It made me so sad when Tom told me that he'd never had a Lucky Bag as a child, so I decided to make one for his birthday filled with treats, toys and candy. He loved it, so I'm planning to make it a new tradition for every Birthday. 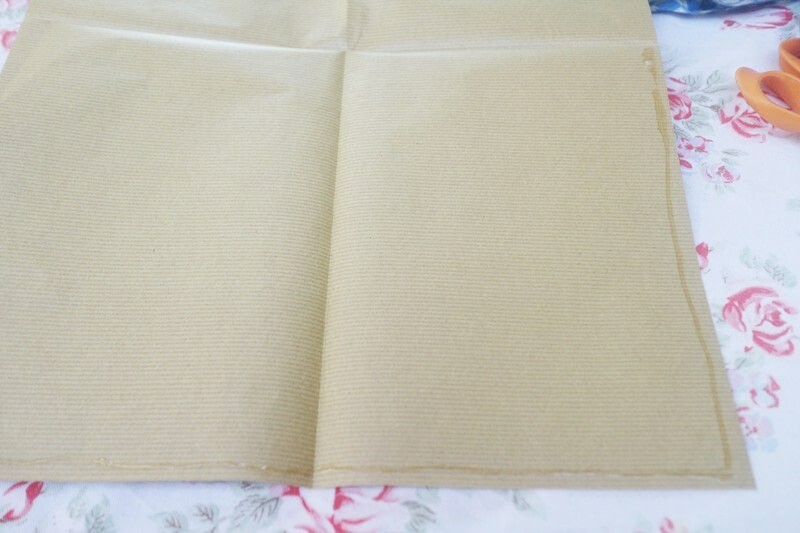 Cut a rectangle of parcel paper big enough for your bag and fold the outside left & right edges in by 1/2". Coat the edges with glue and fold in half, sticking the edges together. 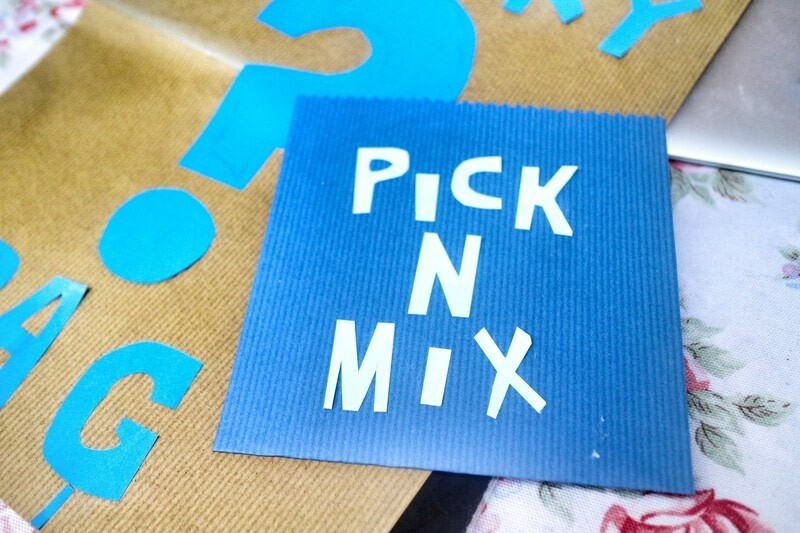 Cut out letters from colourful paper for the front of your bag and stick to the front. 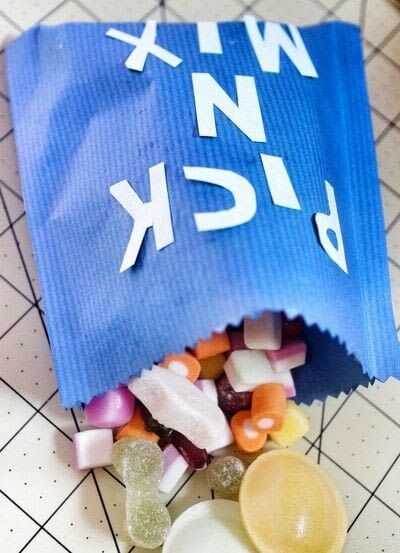 Make another mini bag for pick n mix. Fill the pick n mix bag with all of your friends favourite sweets. 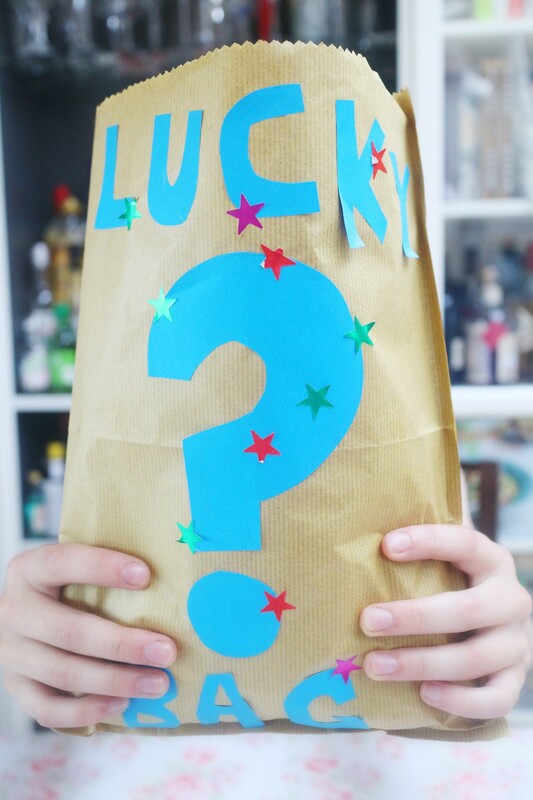 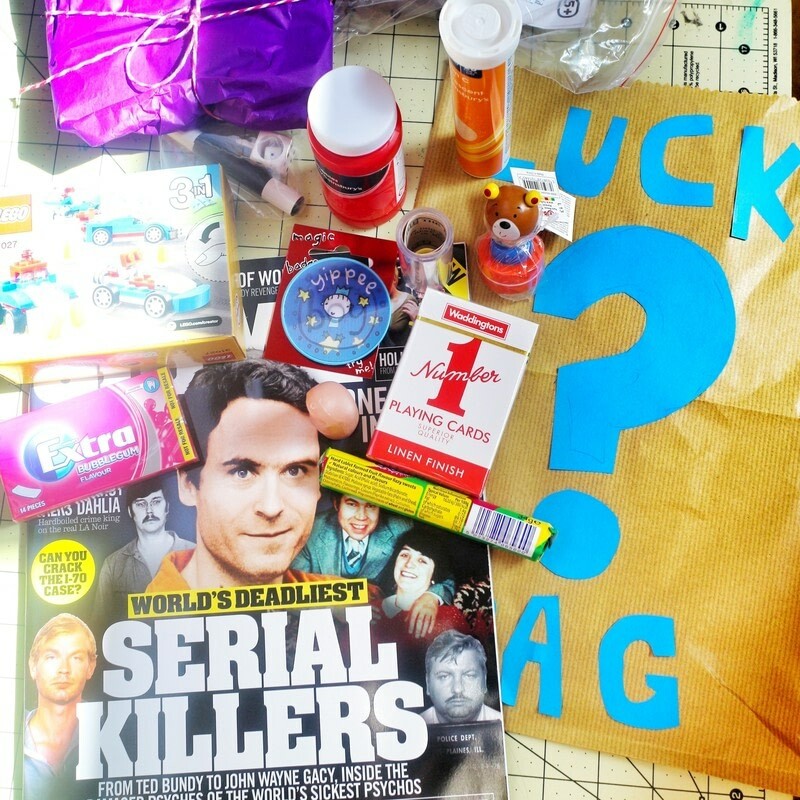 Fill the lucky bag with treats and surprises, individually wrapping some for added surprise!